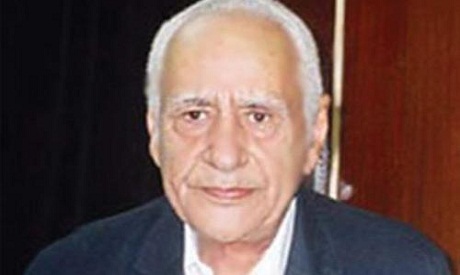 Egyptian writer Mahmoud Salem, well-known children's writer and author of the famous mystery series Al-Moghameroon Al-Khamsa (The Five Adventurers) died on Sunday, 24 February, at the age of 84. Salem is widely known in the Arab world as one of the first authors to start writing mystery novels for children. Children's writer Fatma El-Maadoul told Ahram Online that the late writer made a great effort to establish children's writing in the Arab world, and that she as a children’s writer had learnt from him. While expressing his deep sadness at losing an old friend, writer and critic Gaber Asfour told Ahram Online that Salem was a landmark in Arabic children's writing who paved the way to similar writings and offered children creative mystery novels that helped them to learn new things. “He is one of the most important children’s writers in the Arab world; he was an authentic creative man,” Asfour said. Mahmoud Salem was born in 1929 in Alexandria. His father was a naval officer. Salem joined a military college but left it before he completed his study, joining a leftist group during the late 1940s. Salem then moved to the faculty of law at Cairo University, before leaving his studies to become a journalist.